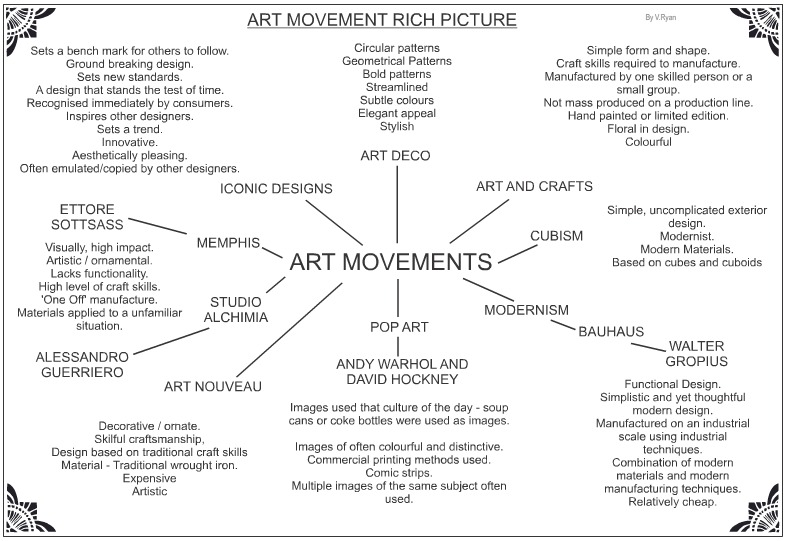 From the start of the history of art and design, themes and styles have developed. A limited number of styles have dominated their respective eras. For example, Art Deco originates from the 1920s and 1930s and dominated architecture, fashion, furniture design, jewellery and many more aspects of manufacturing. 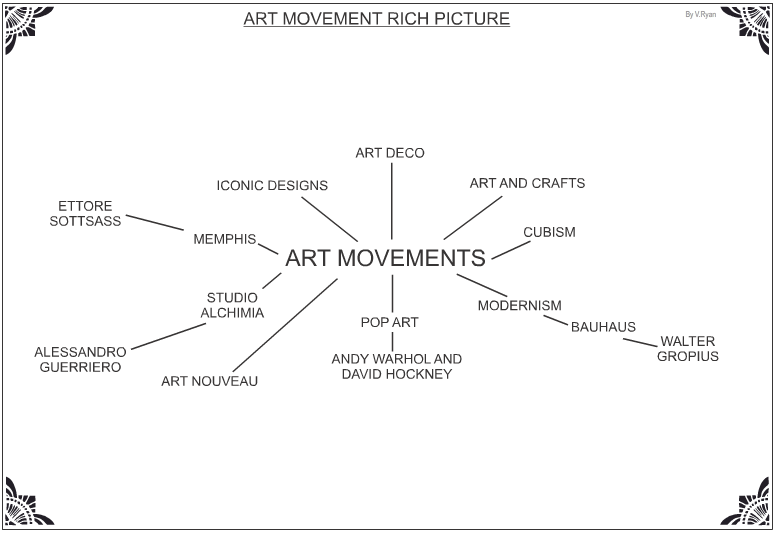 The more important styles became known as Art Movements. Cut out the eight design criteria on this page. 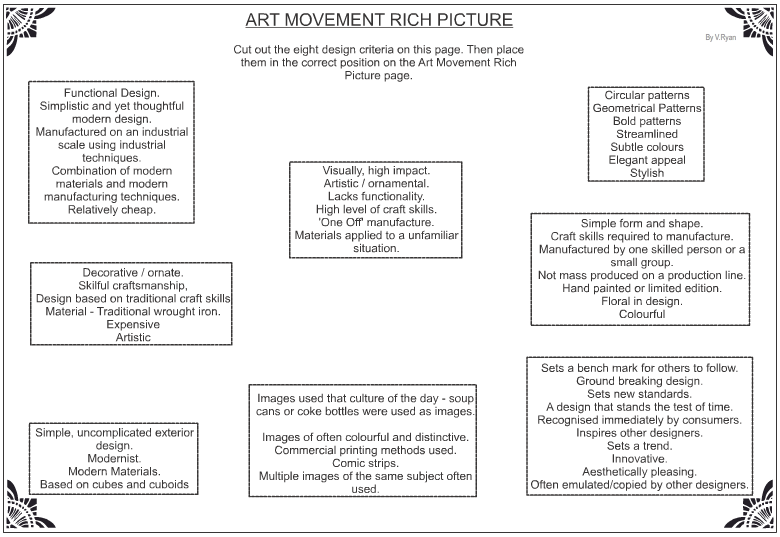 Then place them in the correct position on the Art Movement Rich Picture page.